Doors open at 5:30 p.m. Program starts promptly at 6 p.m.
NEW: If you miss the RSVP deadline (1/8) but want to attend, please come down and pay at the door. **Early admits and students please follow the RSVP link and call or email the Alumni Education team to add you to the list of attendees. You must be on the list to get in. Living in New England, it’s not often that I look forward to the month of January. But this year is different: on January 10, I’ll be heading to the National Underground Railroad Freedom Center for a special evening with President Drew Gilpin Faust, cohosted by the Harvard Club of Cincinnati. I hope to see you there! To kick off the event, President Faust will join Harvard Board of Overseers President Scott Abell AB ’72 to discuss Harvard’s evolving campus and community as well as issues of higher education more generally—a conversation that I’m sure will be of great interest. After the program, there’s plenty of time to mingle and enjoy drinks and appetizers with fellow alumni and friends. Wishing you a wonderful Thanksgiving and holiday season. 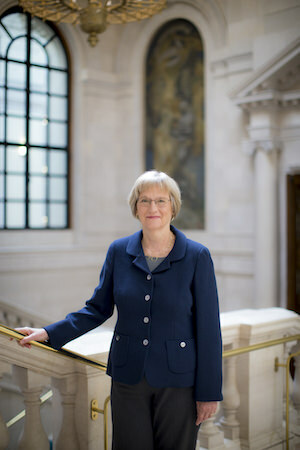 The Harvard Club of Cincinnati is delighted to host Dr. Drew Gilpin Faust January 10. If you attend only one Harvard event, this one will be a doozie. Come be part of One Harvard for a night! Register ASAP to ensure your spot. An historian of the Civil War and the American South, Faust was the founding dean of the Radcliffe Institute for Advanced Study at Harvard, guiding its transformation from a college into a wide-ranging institute for scholarly and creative enterprise, distinctive for its multidisciplinary focus and the exploration of new knowledge at the crossroads of traditional fields. Fruit and Cheese available. Still & Sparkling Water . Universities nurture the hopes of the world: in solving challenges that cross borders; in unlocking and harnessing new knowledge; in building cultural and political understanding; and in modeling environments that promote dialogue and debate... The ideal and breadth of liberal education that embraces the humanities and arts as well as the social and natural sciences is at the core of Harvard’s philosophy.